I am excited to have the opportunity to welcome you as you look around our website. I believe that God is at work in our world and he wants to be at work in your life as well. The image we see of God in the Bible is a God who loves His creation and desires to heal and restore us all back to our original design... and that is to have a loving and healthy relationship with Him. God knows life secrets and we find that His ways help us find the hope that we need in this sometimes difficult world. He is truly a God worthy of our worship! As part of His body, our church family is focused on following His pattern that He provides for us in Scripture... loving God with all our heart and loving people where they are... with the hope that they too will find God's best for them. With that interest in mind, we work at coming alongside people to offer them hope and help. We see this pattern working out in five rhythms of life... gathering together regularly in worship of Him, connecting with one another as we come alongside of each other to help each other as we are growing step by step, serving those who are in our lives as Christ served us, and finally going out in mission to share the love and hope of Christ to all people... from our local community to the rest of the globe. One way to experience who we are as a people is to come and experience one of our gatherings for worship. Every week we have a family gathering where we spend time offering each other encouragement while praising our God for all the things He has done the past week. We greet each other. We sing songs of praise. We share our stories of success and struggles. We are reminded through the Word and message what it is that God is desiring us to do and why we keep going. Our hope is to go away from the gathering with a fresh commitment toward God and a rejuvenated heart to obey Him. Currently, we have one worship gathering and this is on Sunday mornings. Our Sunday morning schedule begins with Sunday School from 9:00 to 10:15am. Beginning at 9:00am, we gather in the gym with snacks and coffee as we re-connect with one another. Then around 9:15, we move to our classrooms. The class that stays in the gym meets around tables for a casual discussion about a Scripture passage. 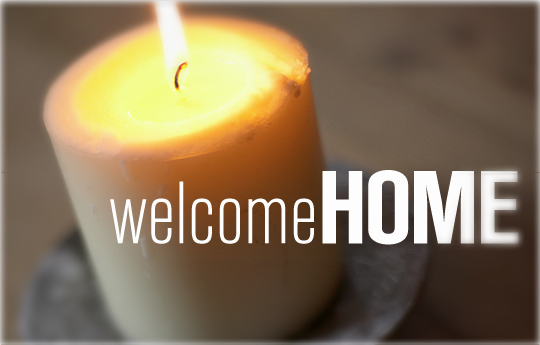 By 10:15am, we start gathering in the sanctuary and focusing our attention on worshiping our God. The worship service starts at 10:30am. Most weeks we wrap up by 12:15pm. We would love for you to join us! Our hope is that our church can truly be your family. 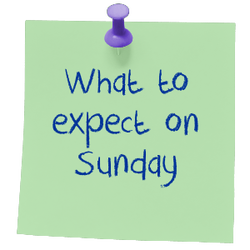 To find out more about what you might expect if you come for our Sunday morning gathering, keep scrolling down. Please let me know if you have any questions. ...expect to be greeted warmly! You'll receive a bulletin with the morning schedule and announcements about upcoming events and ministry opportunities. ...we love kids and have a awesome staff to lead them. We have Sunday School classes for all ages and also have a great children's church for preschool and elementary-aged kids during the adult worship service. We also offer a baby nursery and a nursing mothers area that is private with a view of the service. ...we'll worship God through singing, praying, and reading Scripture. There's not a lot of 'ritual' in the service, and you are invited to express yourself in worship. There will be a time to give an offering, but don't feel obligated - you're a guest! The pastor will share a relevant message, explaining Truth for your life from the Bible. The people of our family range from homemakers to professional businessmen, young children to retirees. No matter what stage or place in life you are, come just as you are. Don’t worry if you haven’t been to church in a while or ever before in your life; we are all on this journey of life together and God has a plan for you! The Bible tells us that Jesus died for us, when we were still sinners. He will help us clean up our lives after we come to Him! The worship is blended choruses and hymns in an upbeat and joyful environment. The preaching is Bible based and always practical to life. Join together with us in worship of God and hearing His Word! WE BELIEVE... in one God, who reveals Himself to us as the Father, Son and Holy Spirit. WE BELIEVE... that the Old and New Testament Scriptures, inspired by God, contains all truth necessary to ignite faith and nurture Christian living. WE BELIEVE... that people are born with a sinful nature, and are basically stuck in sin without the transformational touch of God's grace. WE BELIEVE... that all who reject God will be separated from Him forever. WE BELIEVE... that the exchange that Jesus made for our lives, His for ours, is for EVERYONE who repents and believes that Jesus is Lord, regardless of their past. God gives us freedom and His power to live above the muck of this world. WE BELIEVE... that believers, through the empowering of God's Spirit, are to be fully devoted followers of Jesus Christ. WE BELIEVE... that the Holy Spirit lets us know that we belong to God, and will stick with us through thick and thin, as we choose to daily follow Him. WE BELIEVE... that Jesus Christ will return, the dead will be raised, and all who have given their lives to God will live with Him in heaven forever. More than anything, we believe that God is with us and He is our HOPE in establishing His Kingdom here on Earth as it is in Heaven. We are passionate about spreading His LOVE and GRACE to all we encounter, helping them to be restored to God's design and His plan for their lives. Favorite Snack(s): Popcorn and Ice Cream. Ministry Experience: Youth Pastor for 10+ years, Children's Pastor 5 years, Sr. Pastor since 2008. Came to Emmett in November 2013. Ministry Passions: Seeing the church being the body of Christ in the world; Seeing people transformed by God; Empowering people to be used by God. Hobbies & Interests: Spending time with my two kids (dogs) Dug and Ariel. Hanging out with friends and family. Ministry Experience: Youth Pastor for 7+ years. Came to Emmett in February 2015. Ministry Passions: Partnering the church with families to follow Christ as Lord, and sharing my faith and love for God. Education: In the process of getting a BA in Christian Ministries from Northwest Nazarene University.